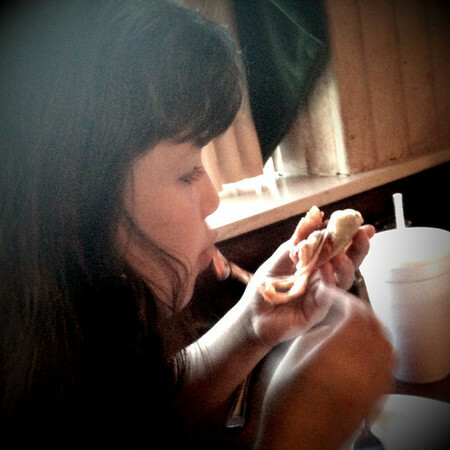 Holly Shaw: Semi-Wordless Wednesday: Viva Italia! There's a local Italian restaurant that is not part of the corporate chain gain, it's more of a mom and pop organization. Nothing fancy but still tasty Italian food at reasonable prices. We're fans. Annelise is too, ever since the last time we visited and the sweet waitress brought her a coloring book (not just a page), blank paper and Crayola twistables. Plus there's the pink lemonade and Make Your Own Pizza Night for the kidlets (Tuesday, if you're interested). We planned to go last week but our plans we're derailed when Annelise had to go visit the principal, and not just in the hi, how're you doing kind of way. Apparently she was running in the cafeteria and continued to talk after being told to stop, so she and another hoodlum had to go talk to the principal and sit in isolation during lunch the next day. Now, to me, I agree this seems a little extreme because it's not like she was staging a food fight or kindergarten mutiny or anything, but I think they (the lunchroom staff) were trying to make an impression. I'm okay with that. My poor hoodlum was upset the rest of the afternoon, sat out during recess (her choice), burst into tears upon entering the car and cried almost until Scott got home. 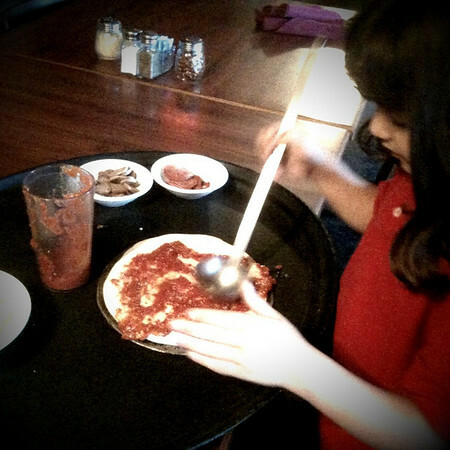 Anyway, we didn't want to reward her hoodlum-ness with make your own pizza night, so we waited until this week. Her clothespin stayed on green (two days in a row!) and so we celebrated. Yay for 2 days with a green clothespin! We're doing a rewards thing with green tickets and it seems to be making a big difference. yummy!! Let's go next week...Macy would love that! The pizza looks so good! What a fun place to go. I had no idea Annelise was a hoodlum. It sounds like this was a scarring event for her, so it probably won't happen again. Poor girl. Ha ha! If Grace were making that pizza, it'd be so easy. Sauce, cheese. Done. 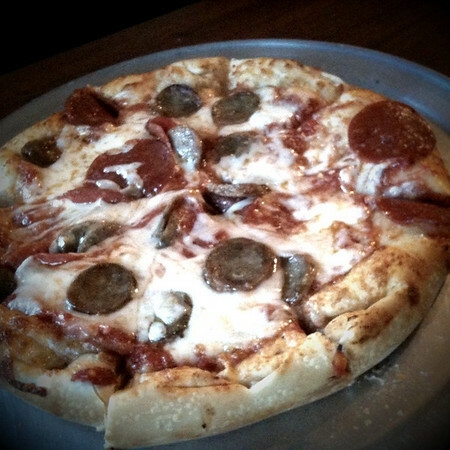 Rochelle: Yeah, she surprised me by putting sausage on her pizza too, she's usually just a pepperoni girl. Anna: That's great about the ticket system/reward working. YAY!! Preciousness. She's a girl after my own heart. That's all I can say. It's just all peer pressure and totally not her fault. LOL. I know.. I know. Rules are rules. But, she's so stinking cute.